Thanks to the McAreaveys for letting us raid their raz patch on a hot summer day. Here’s our smoothie recipe du jour. Roughly. Just blend it all up, serve, and smile. And don;t you dare follow these directions. Smoothies are for making it up as you go. Here they are. 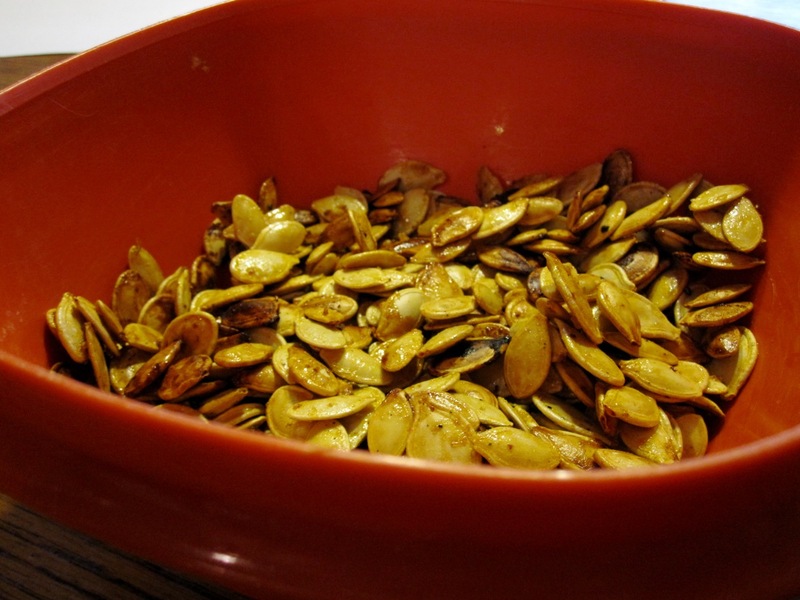 After the carving carnage, the best part of jack-o-lanterns is munching on those roasted seeds. We had a couple friends ask for the recipe, so now you all get it. Turns out these things are high in protein, and zinc (whatever that does). You can check out the nutrition in detail here. So, they make a great snack, and are super simple to cook up. We couldn’t find the recipe, so my lovely wife just made one up on the spot. It worked, thanks to one big secret. There is one negative side effect to snacking on roasted pumpkin seeds: greasy keyboard. Step 1: Carve the hell out of a few pumpkins. Make them fun and scary. When you’re digging the “guts” (or “brains,” depending upon your perspective) out of that soon-to-be-jack-o-lantern, pile them up in a clean bowl for sorting. Then, sort out the seeds and place them in another clean bowl. 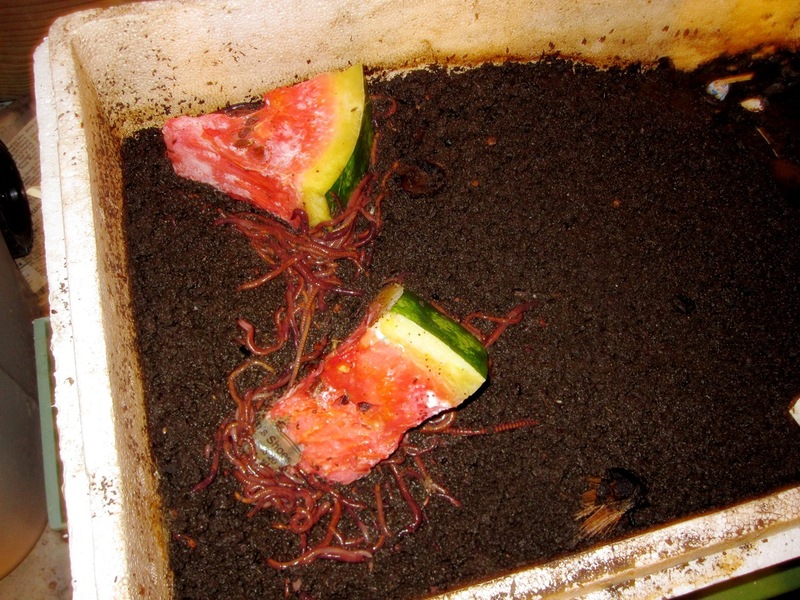 Be sure to compost the remaining stringy stuff. I fed some to my worms, but I’ll save the picture for a non-food post. Step 3: Fold it all together real good, to coat the seeds with EVOO and seasonings. Now spread the seeds out on a baking sheet. They don’t need to be single layer, but close. Step 5: Enjoy. We store them under a lid in the orange container you see in the picture above, and keep it on the counter. I doubt this batch will see Friday. Mom and Dad have 2 gazillion apples hanging on two trees in their yard. There were even more, but Dad and the girls rescued the trees from broken branches by catching a whole bunch in sheets on the ground a couple weekends ago. They were so loaded down, a couple of good shakes took care of the problem. Everybody knows that’s not how you harvest apples. But sometimes it is. Just ask Newton. There is dispute in the family about which tree makes tastier apples, but I’m sure I’m right about the reddish ones. If you want some, it’s a pick-your-own free for all. Dad might even let you use his ladder. 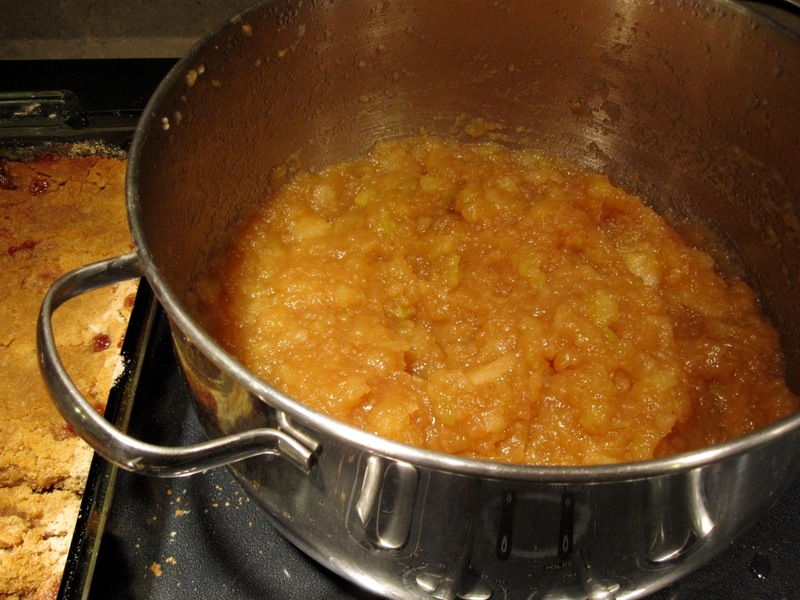 Tonight I finally got around to making some applesauce with the last bag full the kids came home with. 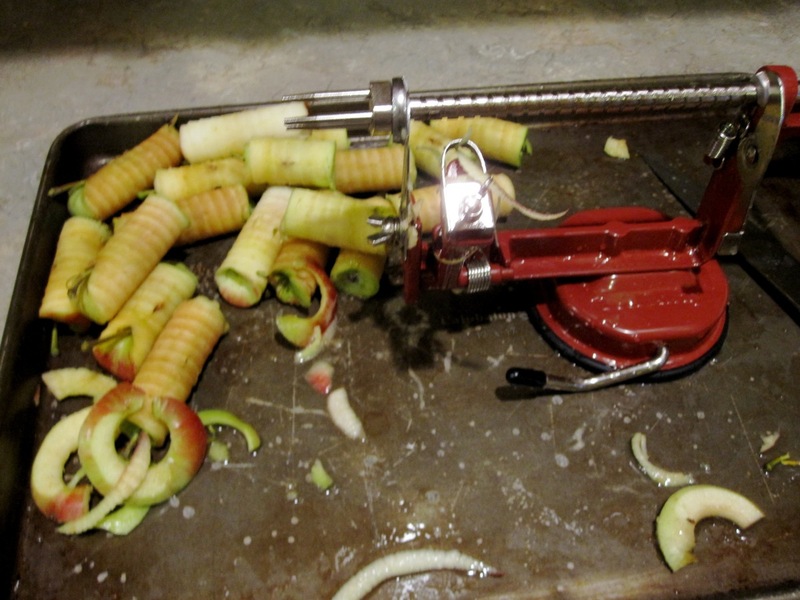 We used the fancy shmancy apple peeler Santa brought for Jaimie last year. It slices. It cores. It peels. And it makes the kitchen floor very very sticky. But, it works awesome and it’s fun. Jaim whipped up some apple crisp too, as you can see in the last pic. 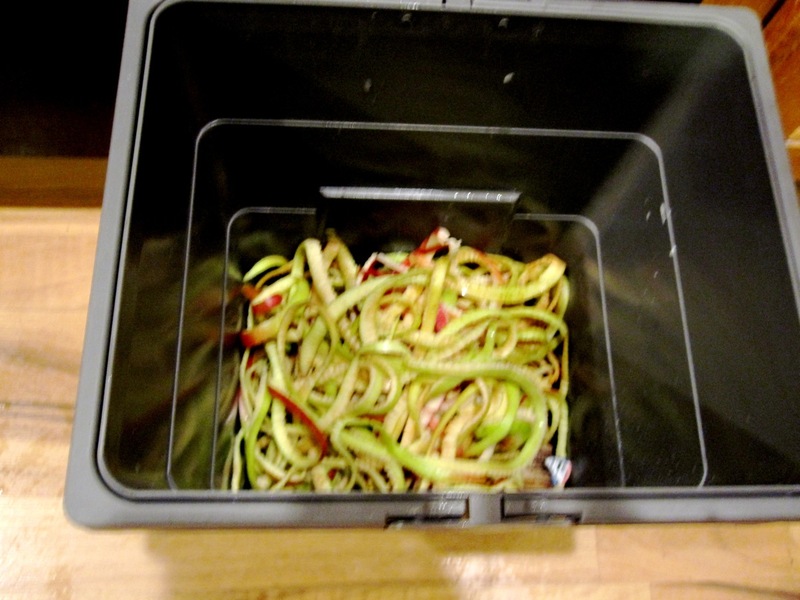 Now, what to do with those neatly cut peelings…It’s a good excuse to give you a worm update. 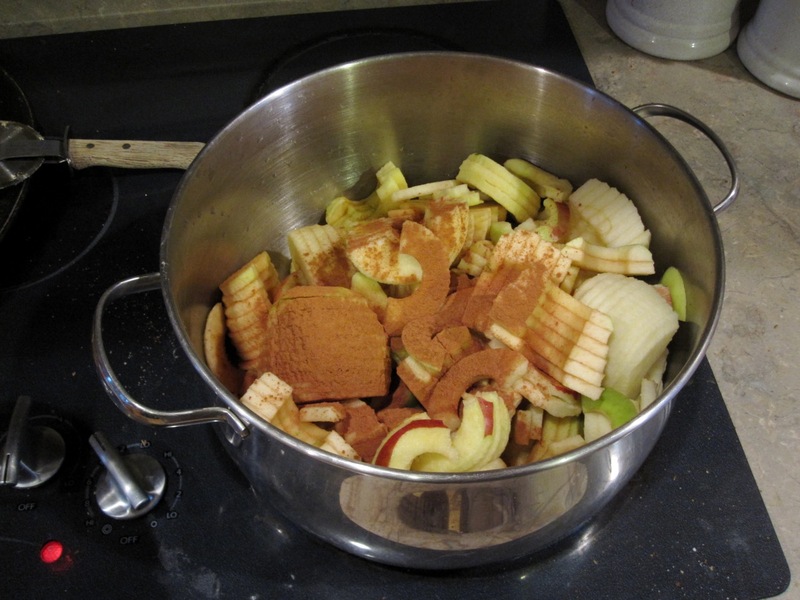 I’ve been skimping a bit on the feeding the past week, sending most kitchen scraps to the compost bin outside instead of wormtown. It’s time to harvest the worm poop, so I’m using a trick from Uncle Carl: let them totally clean up the top layer, then only feed them on one small end of the bin for a week so they all congregate in one spot. That way, when I’m sifting through that rich compost by hand, the worms will be easy to pick out. I just tossed this watermelon in yesterday, and they’re hammering it. Speaking of apples, last weekend we headed on a road trip for Jon’s bachelor party. 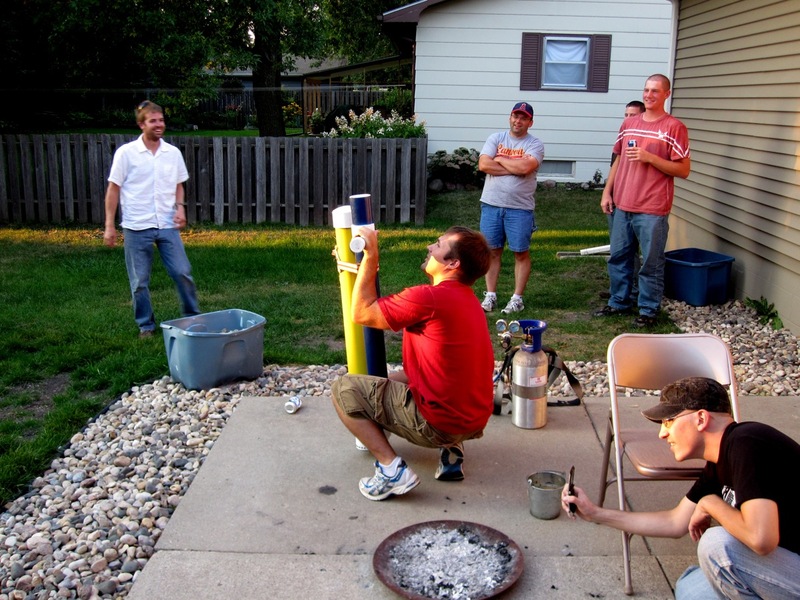 Along the way, we stopped by cousin David’s place to check out his newly-built apple cannon. It launches pretty much anything roughly baseball-sized with alarming power. Even baseballs. Trust me. If you shop at Hy-Vee in Brookings, you might want to throw a bike helmet on in the parking lot. Just saying.